Artificial Intelligence (AI) is intelligence demonstrated by machines that gain knowledge from experiences, similar to how the human brain functions. Machines that can mimic cognitive functions such as thinking, problem-solving, and learning are considered to have artificial intelligence. Day-to-day, we see artificial intelligence most prominently in the form of Alexa or Google Home. As AI advances, executive assistants, in particular, may feel threatened as AI can mimic EA job functions such as assisting with scheduling travel or organizing meetings. Ultimately, there is a lot of controversies whether AI will replace EAs altogether. We’re here to assure you that’s not the case. While change doesn’t happen overnight, autonomous systems are evolving at a rapid pace. As we see from history, individuals who embrace fundamental changes in technological resources are the first to benefit. Tools like voice recognition, automated scheduling, and machine learning are just a few of the applications artificial intelligence brings to the table. In out last installment on AI, we spoke with Rhonda Scharf regarding her take on AI in the assistant space. Today, we speak with Diana Brandl, International Speaker, Coach, and Author, based in Berlin, Germany. Diana continuously supports the role of the assistant by speaking at international events and publishing various articles in Germany and abroad focusing on Digital Transformation, Personal Branding, Strategic Networking, Mentoring, Diversity, and Social Media. Diana writes her blog The Socialista Projects and is influencing the industry with her creative initiatives such as launching the hashtag #WeAreInThisTogether. Through an interview, she expands on the implications of AI on the executive assistant career and, more specifically, how to embrace it. How will stepping up as a business leader protect the EA career from AI? Artificial Intelligence is something we shouldn’t be afraid of, but instead, we should embrace it in our personal lives and our profession. It’s here to help in many ways. For example, Artificial Intelligence, also referred to as AI, offers standards to assist with booking and managing travel, scheduling appointments, ordering office supplies, and more. In the current era, assistants are looking to break into more significant roles where they are managing other projects. Allocating some of the simpler tasks to AI allows assistants the flexibility to take on more. It also gives the flexibility of time to work on new skills. There is a chart I often reference that shows assistants the skills they will need to possess to be marketable by 2025. Some examples from the chart include creativity, emotional intelligence, and other qualities that belong to our profile. Focusing on these skills helps us transition into larger projects. Through utilizing AI, we can focus on this professional growth. How can EAs utilize AI to their advantage? They can work closely with e.g. Siri in their workspace. Just merely being aware of the virtual assistant you have right on your phone is your first step. For example, Siri can dictate and read emails. Learning how to use Siri for that is a simple way to get started. Many assistants don’t even know what technologies they have on their smartphones. Try things out and do some research. It is easy and brings fun when you explore your own personal assistant on your phone. At one time, I had a boss who would start every morning by asking me about the stock exchange for individual companies. Instead of researching, printing and putting on his desk, I taught him how to use Siri to get instant information. By introducing him to Siri in a business sense, I also was showing him that I’m a true business partner by being an expert in the AI space. The digital age gives us a platform to showcase all the skills we have. Not all of us are digital natives, but we can work to become familiar. Secondly, if you’re willing to introduce technology to your professional life, talk to your IT department to implement it. The second step to an introduction, behind using what’s available on your phone, is ensuring you have AI capabilities in your workspace. That involves a conversation with IT. How can EAs keep up with current AI trends in the industry? Social media is so important. Be interested in what your boss is reading. Join newsletters. Sign up for groups and forums. It’s a free resource where you can ask questions to find out what people are using. In Europe, we currently have so much data protection, so it’s essential for me to learn what my peers are doing even in other countries. You also learn not only trends but how people are introducing technology to their companies. That implementation step is vital to learn. Start an open dialogue with your IT department. Can you explain artificial intelligence versus human intelligence? Human intelligence is different because it is connected to emotion. It’s so important to highlight how important human intelligence is in the AI space. We understand facial expressions and can read emotion. We are those emotional intelligence leaders. Alexa or digital assistants can’t offer that at the moment. By leveraging AI, we can still showcase human emotion, and offer our leading expertise in the digital space. How can an EA build their brand in the digital era? I can’t express enough, identify with your company. Are you a company ambassador? Do you know the last press release they sent out? How about their previous company post on Facebook? You need to step up and identify with your company. You do this by defining your own strengths and values. It’s so important. It also helps to be visible on social media. By doing these simple things, you are developing your brand within your organization and offering insight that AI cannot. Any last recommendations for EAs in regards to Artificial Intelligence? Follow the big players in the game including Apple and Google. Take opportunities to read what they are producing and what’s in the pipeline for the future. It’s crucial to understand what the big names are creating and what they are planning on bringing to the market within the next years. Then, see what your connections on social media to the techindustry and be a part of that conversation. It’s important to show interest in AI, especially on social media, because you’re putting yourself on the forefront of that conversation. Reach out and start a discussion within your network. It will help you bring technology back into your organization. Not all companies are open to it or are ready for it, but it will eventually come to all companies. Be at the forefront of that transition. Last but not least, Artificial Intelligence is not here to take our jobs away. It’s here to take tasks away to free up our time. So let’s be grateful for that wonderful opportunity as AI helps us share the new profile and DNA of the future assistant. Diana is currently writing her second book. This time about digital assistants and AI. It will be available in German language only. She kindly refers to a book in English language of Rhonda Scharf called “Alexa is Stealing Your Job.” which will be out soon. 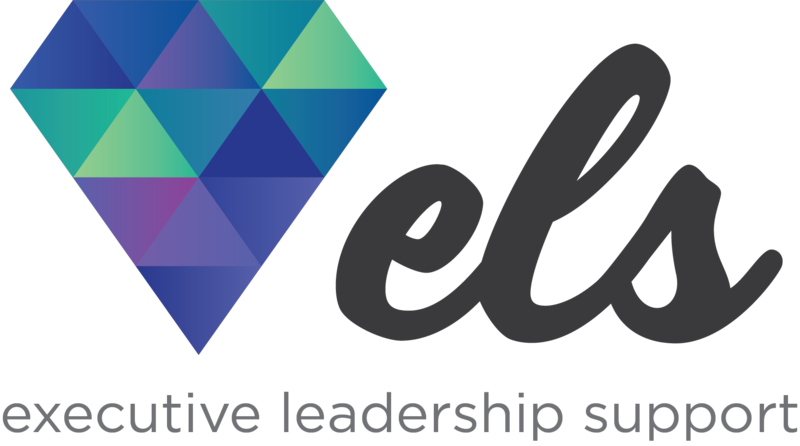 Join Diana and other executive assistants at the ELS Forum in Munich & Amsterdam.